This classic band offers a subtle mix of two golds. The mix of textures adds another dimension to this design. Mix your favourite tones together in this design to create a look just for you that will be a timeless classic. Available in White, Rose, Yellow, Titanium or Platinum. 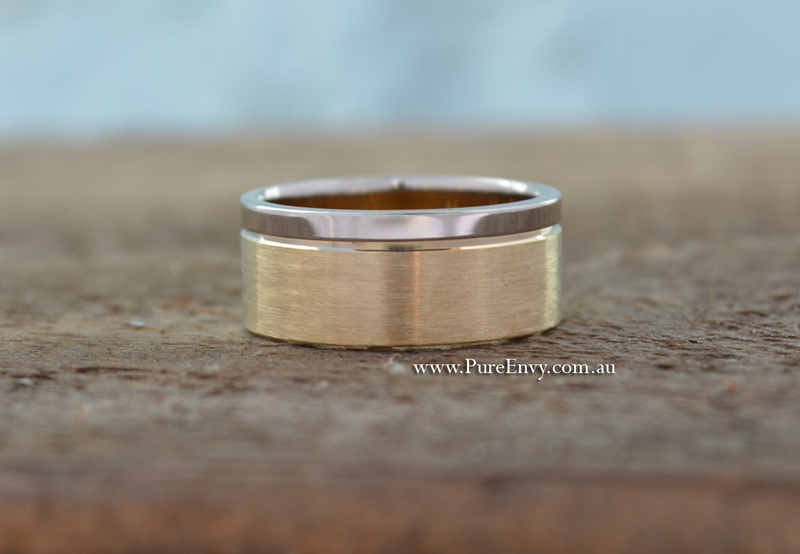 Pictured: Yellow Gold with White Gold strip in 8mm.